LOS ANGELES — The third executive of a Los Angeles toy company pleaded guilty today to his role in a scheme to launder almost $9 million for drug cartels in Mexico and Colombia using teddy bears and Topo Gigio mouse dolls. Meichun Cheng Huang, 57, of Irvine, a co-owner of Angel Toy Corp., entered his plea to one felony count of conspiracy in Los Angeles federal court before U.S. District Judge S. James Otero. Previously in the case, Ling Yu, 52, of Arcadia, CEO and co-owner of the toy company, and firm accountant Xiaoxin “Judy” Ju, 48, of San Gabriel, pleaded guilty to the same charge, prosecutors said. The three were arrested last July at the downtown business on Alameda Street, according to U.S. Immigration and Customs Enforcement. According to an indictment, Huang and Yu directed their Colombian and Mexican clients to drop cash off at the company’s Los Angeles headquarters or deposit it directly into the company’s bank accounts. After receiving the money, Angel Toy executives wired it to China to purchase stuffed animals and dolls, according to ICE. The toys were subsequently exported to Colombia, where an associate apparently arranged for their sale. The Colombian pesos generated by those sales were then used to reimburse Colombian drug traffickers, a money-laundering process known as a “black market peso exchange,” said then-Attorney General Jerry Brown, whose office investigated the case along with ICE. The arrests stemmed from a five-count indictment that charged five defendants, including the co-owners of Angel Toy Corp., and a Colombia-based businessman who allegedly oversaw the importation of the toys into his country, prosecutors said. The fifth defendant in the case is Angel Toy Corp. itself. The charges include conspiracy to structure cash transactions to avoid federal reporting requirements, prosecutors said. The indictment also seeks the forfeiture of more than $8.6 million dollars, which is the amount of money allegedly laundered over a four-year period, from 2005 to 2009. 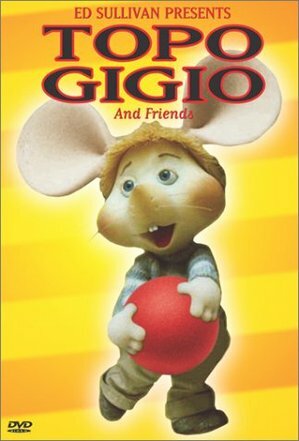 Topo Gigio was a character on a children’s puppet show on Italian and Spanish television in the early 1960s and began famous worldwide when the cute rodent appeared on “The Ed Sullivan Show.” Topo Gigio remains a Latino cultural icon. Otero set Oct. 31 to sentence Huang, Yu and Ju, prosecutors said.